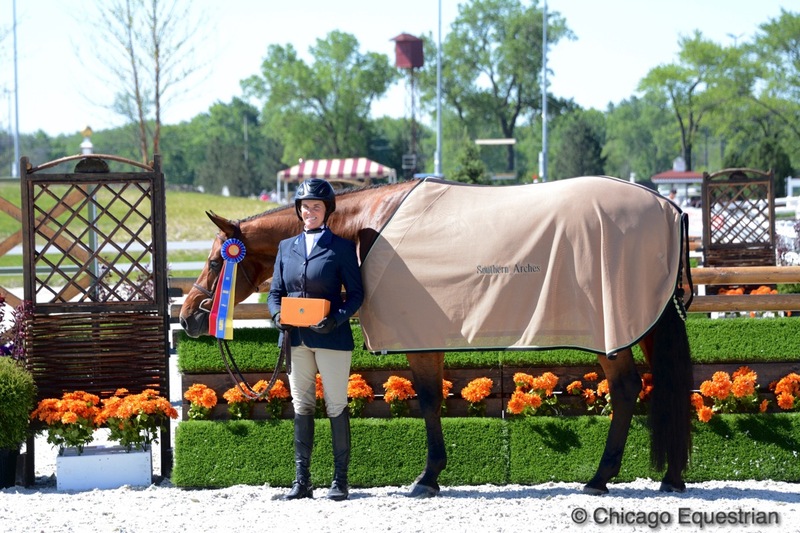 Lisa Goldman and Centurion B capture the $10,000 KindredBio 1.40m Open Jumper Prix at the Showplace Spring Spectacular I.
Crete, IL - June 8, 2017 - The Showplace Spring Spectacular Series kicked off the first of three weeks of national competition at the new HITS Balmoral Park in Crete, Illinois. 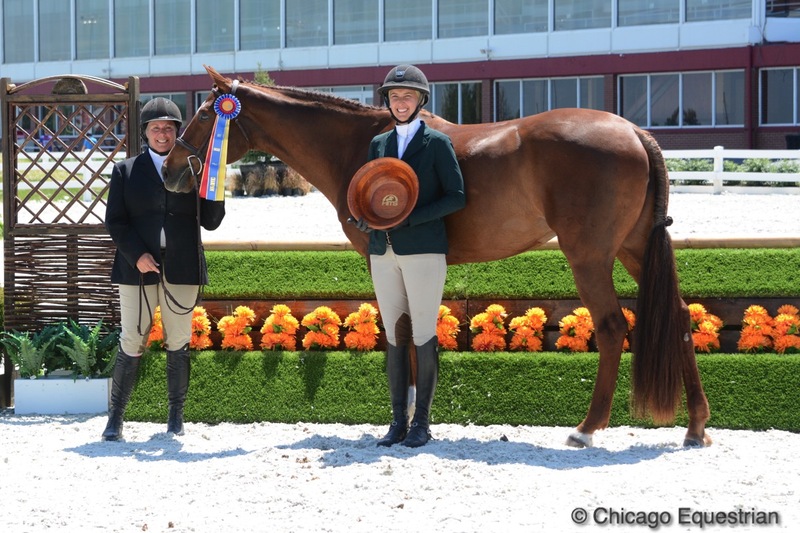 The popular Chicago area horse show managed by Patrick Boyle, has special events such as a $50,000 Grand Prix each week and Derby Tuesday, featuring the $25,000 USHJA International Hunter Derby presented by Bull Run Farm. In usual Showplace style, there is VIP seating in the climate controlled grandstand area with fantastic breakfast and lunch and includes a round of golf at Balmoral Woods Golf Club adjacent to the horse show. Spectators can view the Main Hunter Ring in comfort from the umbrella-adorned tables on the deck of the Stretch Club, the former paddock area of the racetrack, and attend other great exhibitor parties and social events planned for the series. Boyle carries on the tradition of making the series a celebration of the beginning of the Midwest show season, as he has done for years. The feature event in the Grand Prix ring was the $10,000 1.40m KindredBio Open Jumper Prix where Anna Catalina “Catsy” Cruz Harris of Mexico City, Mexico, designed the track for 22 entries in the large new ring, complete with the original racetrack’s tote board as a background and the finish line post proudly fixed in the ring. Nine horses ended up with double clear efforts for a race against the clock. 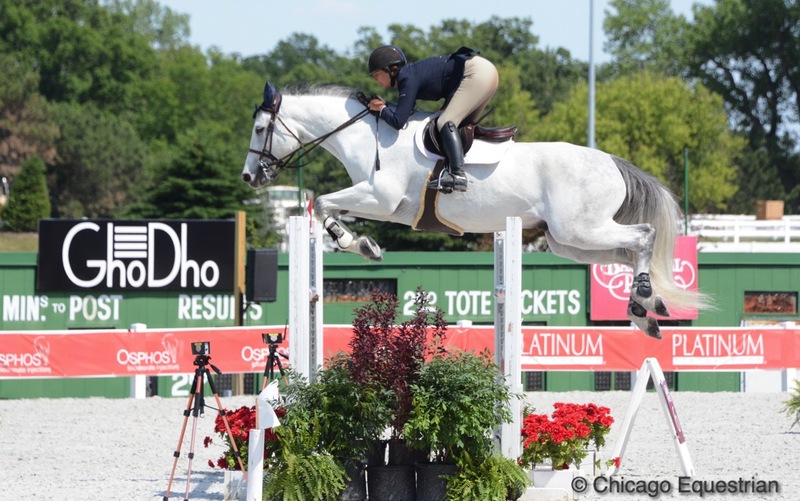 Lisa Goldman of Red Coat Farm in Hawthorn Woods, Illinois, had the advantage with multiple rides but stole the show with her long time partner, Centurion B, stopping the timers at a blazing 40.598. Goldman first set the time to beat with Barb Disko’s Sovereign, 40.993, but that didn’t hold the lead for long. 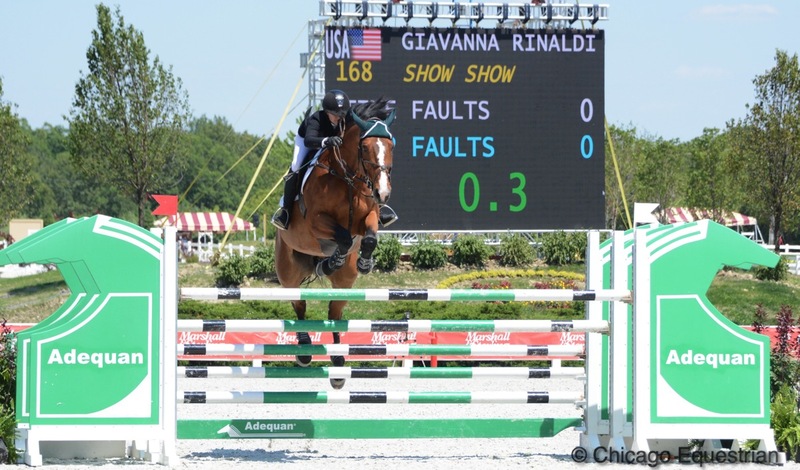 Giavanna Rindaldi on Alex Jayne’s Show Show, demonstrated how young riders do it, stopping the clock at 40.711, which landed her in second place. Giavanna Rinaldi and Show Show galloped to second place in the $10,000 Kindred Bio Open Jumper Prix. Rinaldi of Chicago, just returned from a successful junior team competition in Langley, BC, Canada, where she won the Junior Grand Prix and the Welcome. Rinaldi jumped fault free with Julio vh Elzenhout during both rounds of the Nations Cup as well. Goldman had another swing with Hindsight, giving it the gas and speeding through the turns, ending up a tenth of second behind Rinaldi and settling for third place. Lisa Goldman and Hindsight cut turns to land in third. Finishing 1st, 3rd, 4th and 12th, Goldman talked about what she thinks about as she gears up for the jump offs with multiple chances. Other riders jumping double clear in the class included Erin Haas, Derek Braun, Winn Alden, Taylor Flury, Bryn Sadler and Doug Boyd. Jumper riders look forward to the popular $10,000 Marshall & Sterling 1.30m Jumper Prix on Friday and the $50,000 Purina Animal Nutrition Grand Prix on Saturday. Winn Alden and Double Play rode to the championship in the Green Hunters 3'6" at Showplace Spring Spectacular I.
Winn Alden, St. Loiuis, Missouri, and Double Play, owned by Southern Arches, LLC, took home the first championship of the series in the Green Hunters 3’6. The nine-year-old gelding started showing in the Greens 3’3 during the Winter Equestrian Festival (WEF) this season, earning a reserve championship then moving up to the 3’6” height. Alden will show him in the Devoucoux Hunter Prix and the USHJA International Derby during the Spring Spectacular series. Mary Beth Canfield's Claas Clever won the $1,000 Open Hunter Classic and was Reserve Champion in the Green Hunters 3'6" with Molly McAdow aboard. Reserve in the Green Hunters 3’6” went to Mary Beth Canfield’s Claas Clever with Molly McAdow aboard from Galway Farm, Long Grove, Illinois. Galway Farm came to the Showplace Spring Classic in May earning the first championships ever handed out at the historic racetrack venue with Claas Clever. McAdow also won the $1,000 Open Hunter Classic with Canfield’s trusty mount this week. Molly McAdow and Luxor accept the award for the Green Hunters 3'3" Championship. McAdow rode her Luxor to the championship in the Green Hunters 3’3” and Stephanie Peterson took the reserve with Linda Vellman’s The New Black. Pony Lane Farm's Like I Said rode to the Green Hunters 3'9" Championship. The Green Hunters 3’9” Championship went to Pony Lane Farm’s Like I Said and Maggie Jayne with reserve to Hula Hoop and Jodi Vazquez. Trainer Amy Ochoa pictured with Liana Brown and Marengo, the Performance Working Hunter 3'6" Champions. The Performance Working Hunter 3’6” Championship went to Marengo, and Liana Brown of Carmel, Indiana. 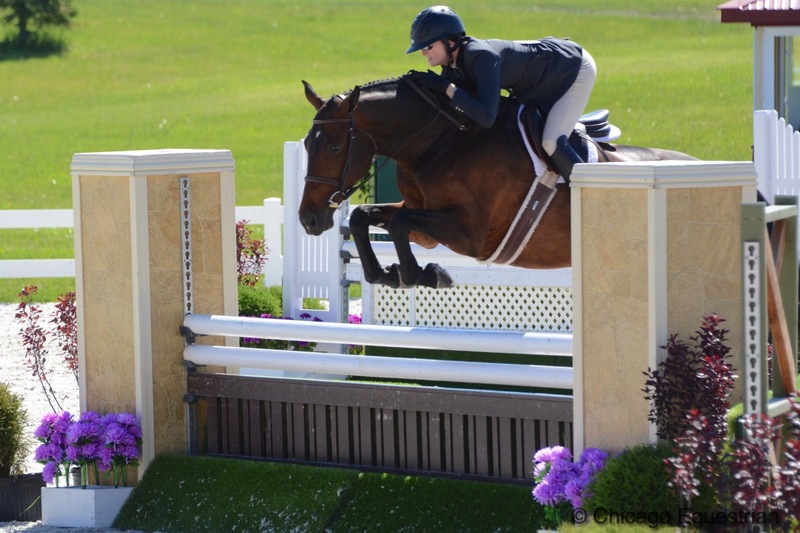 Brown got the horse seven years ago when she started in the Children’s Hunter division and now in the fall, she heads off to the University of Miami to earn a business degree. She also rides in the Amateur Owner division with trainer Amy Ochoa of Sierra Woods Farm. Haylie Rolfe and Pony Lane Farm’s Summer Place took the reserve championship. The Performance Hunters 3’3” went to Lisa Campbell’s Salina K, ridden by Galway Farm Owner, Lorrie Canady. Ryan Sassmannshausen took reserve with Delaney Hoffman’s Bravo. 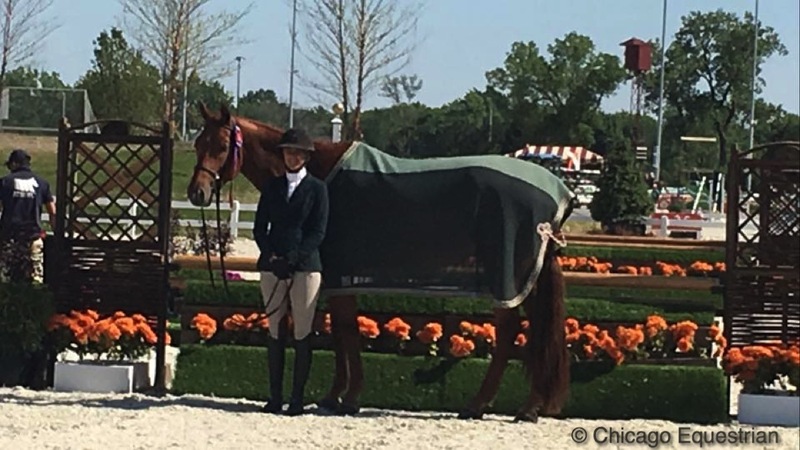 Galway Farm's Lorrie Canady and Molly McAdow with the Performance Hunter 3'3" Champion Salina K.
Galway Farm is sponsoring the $10,000 USHJA National Hunter Derby on Derby Day. 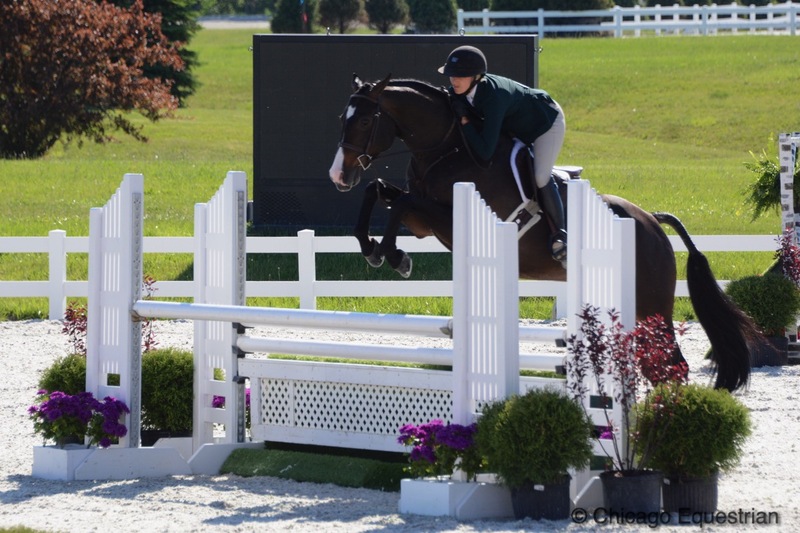 Hunter riders will compete in the $2,500 Devoucoux Hunter Prix, the Platinum Performance Hunter Prix and the $2,500 USHJA National Hunter Derby on Friday with Junior and Amateur riders taking over the rings on Saturday. 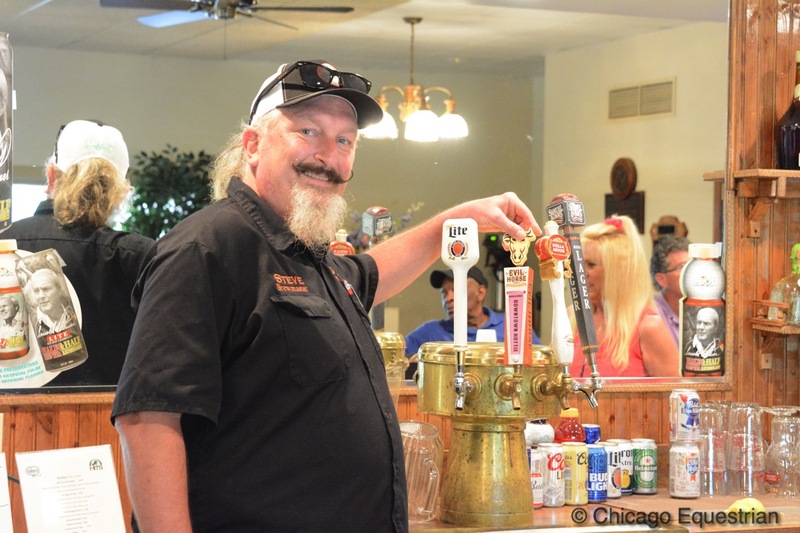 Steve Kamp, the Evil Horse Brew Master, serves up some of his creations at Balmoral Woods Golf Club. Exhibitors enjoyed a micro-brew tasting sponsored by the Evil Horse Brewing at the Balmoral Woods Golf Club at the end of the day. The Evil Horse Brewing Company is located just a few minutes from Balmoral Park in the quaint town of Crete. Evil Horse is the official micro-brew of HITS Balmoral Park and their deluxe brews can be tried at other events during Showplace Productions’ Spring Spectacular or by stopping in at their location.For more information on Evil Horse Brewing visit www.evilhorsebrewing.com. For a complete list of results, visit www.hitsshows.com and for more Showplace Productions’ special events, visit www.showplaceproductions.com. 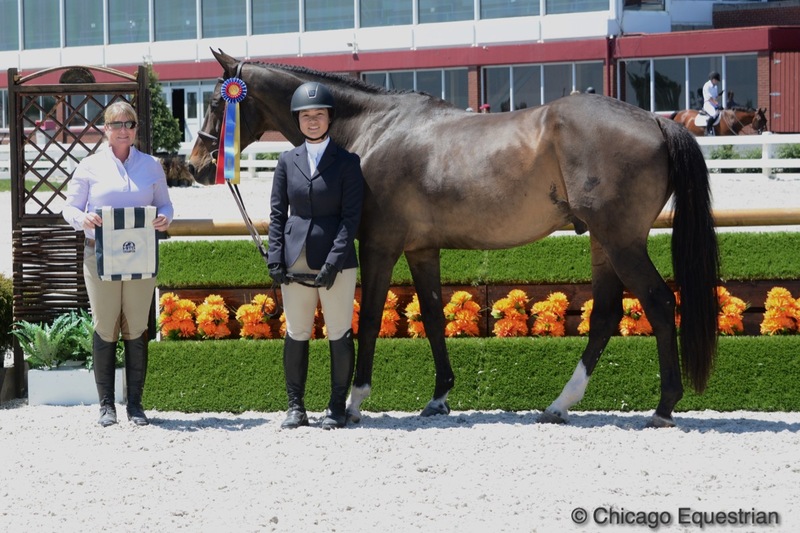 To get more Balmoral Park news, visit www.ChicagoEquestrian.com and add your nameto our email list. 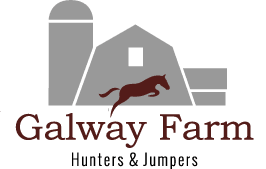 Galway Farm provides training, lessons, boarding and horse sales in Long Grove, IL. 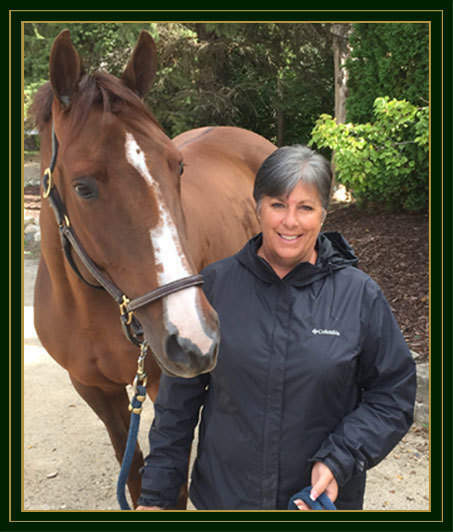 Molly McAdow has a great ability to evaluate horses to develop training and riding routines to reach their potential. She regularly starts and trains Galway’s less experienced horses, bringing them along to successful show horses. She also works with Galway’s well seasoned veterans to keep them at the top of their game. Contact Galway Farm to find your next champion. Follow them on Facebook at Galway Farm Sales or Galway Farm Ltd. This release may be shared in its entirety. Photos may only be used in relation to this release.